Top CS:GO, Rocket League and more! It’s looking to be a quiet weekend as we begin to ready ourselves for the various major events waiting just around the corner. Last weekend saw the lively finals of five of Blizzard’s games—Hearthstone, Overwatch, StarCraft II, World of Warcraft and Heroes of the Storm. We even had frenzied punch-up at the American Finals in Street Fighter V. However, like all good things, they must come to an end. Don’t feel too bad, mind, as we still have a few exciting events to kick-start your weekend. 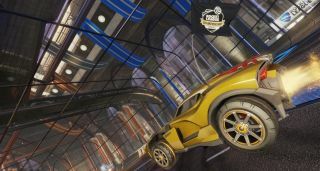 The Rocket League Championship series will come to an exciting end this weekend as both the North American and European teams battle it out. The North American RLCS competition will be broadcast this Saturday from 12:00 PDT / 20:00 PM CET, while the European competition will take place on Sunday from 9:00 PDT / 17:00 CET. On the North American side the top team is currently Orbit, who formed from Team Exodus after the organisation bought them out following the close of RLCS season one. For Europe, Northern Gaming is currently the favourite to win, but last year the team failed to make it to the grand finals last year. Be sure to check out both streams over on Twitch. Eight of the world’s best CS:GO teams are headed to Montreal, Quebec in Canada to compete at the Northern Arena CS:GO Montreal LAN Finals presented by Bell for a prize pool of $100,000. The finals will kick off on November 13th at the Bell Centre where fans will get to meet their favourite players and teams. Tickets for the Sunday final can be bought here, or you can watch the stream over on Twitch. To see the event time and schedule click here. iBUYPOWER Masters (Formerly known as iBUYPOWER Cup) is a premier Counter-Strike:Global Offensive tournament located in Southern California, where the best teams from all over the world will battle for a chance at securing their portion of the $400,000 combined prize pool. Cloud 9, Team SoloMid and FaZeClan are just a few of the eight teams competing at the event this weekend. Doors will open this Saturday at 9:00 PDT / 18:00 CET and entry is completely free. Find out more about the event here. The online three day tournament organised by the Brazilian eSports National League (LNEe) will be taking place this weekend. The goal of the qualifiers is to send the two of the best players to the World Cyber Arena 2016 StarCraft Finals in China. The eight players will compete for $13,900 Prize Pool, and the top two players will be invited to the offline finals in China. More information about the event can be found over on the official website.